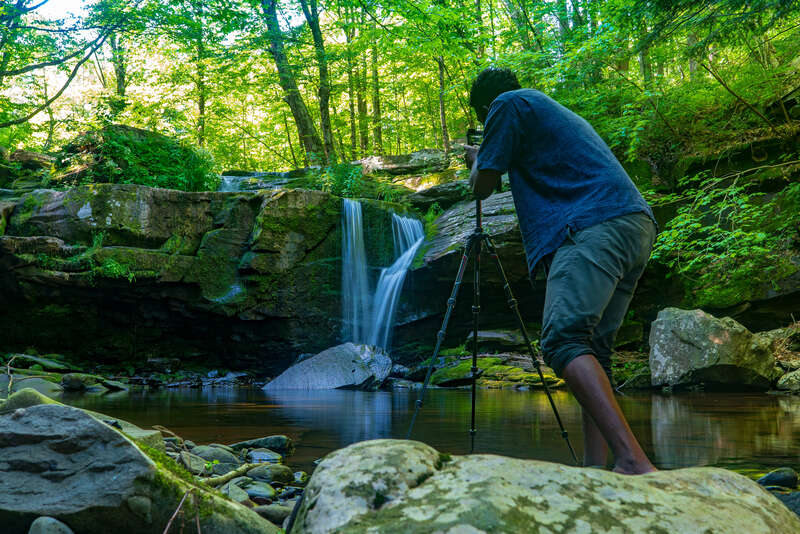 New York state has a lot more to offer than just the big city. If one takes the two-hour journey upstate, there are many adventures to go on. I enjoy these trips because as a landscape and adventure photographer because I am able to document them, inspiring others to go have their own experiences in nature. When planning for a weekend of exploration in the Catskill region of upstate New York for a weekend, I packed a light and simple setup. 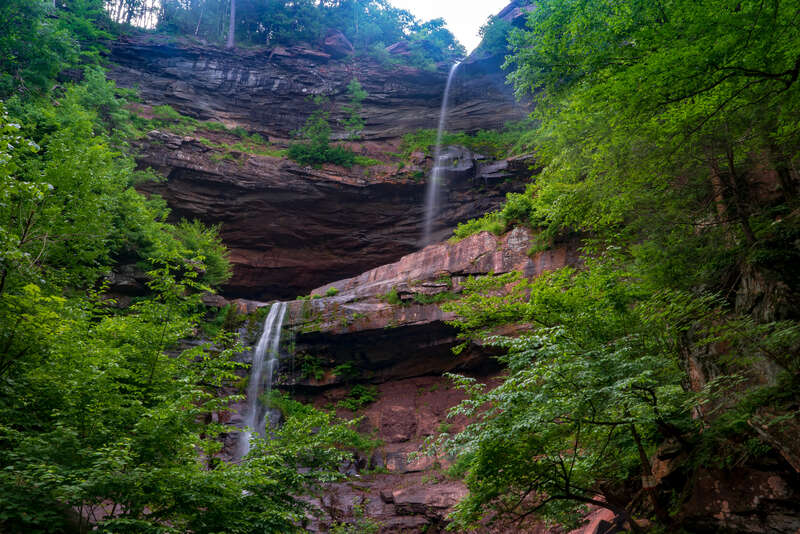 The Catskills has a variety of trails that offer challenging hikes with many ending with spectacular waterfalls. My goal was to explore many of these trails in one weekend as I could. 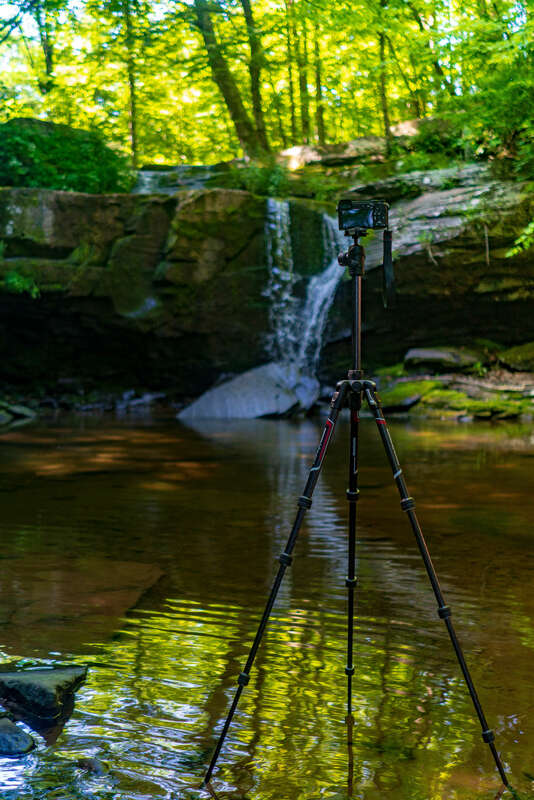 Along with my Sony mirrorless setup, I had my Befree Advanced Carbon Fiber Tripod to make sure I was ready to capture shots of myself in nature if need be. 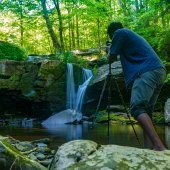 I usually make short films of my adventures, so being able to leave my back up camera on a tripod allows me to document my experiences with flexibility. I will often put myself in the shot to add scale which keeps my photos and videos consistent to my frequent travels as an outdoor adventure photographer, but with a unique sense of place. 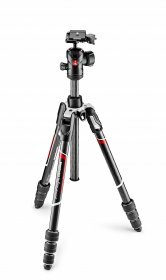 The tripod is light enough for me to attach it to the side of my backpack without worrying about a ton of the extra weight. Sometimes I have to look back just to make sure it’s still there! I really enjoy just how seamlessly it integrates with my setup. When I’m out capturing photos and videos I always think about the narrative that will be behind my work. Immersing myself in the environment before I hit the shutter button so the visual and written stories I tell, share the full narrative of the location. 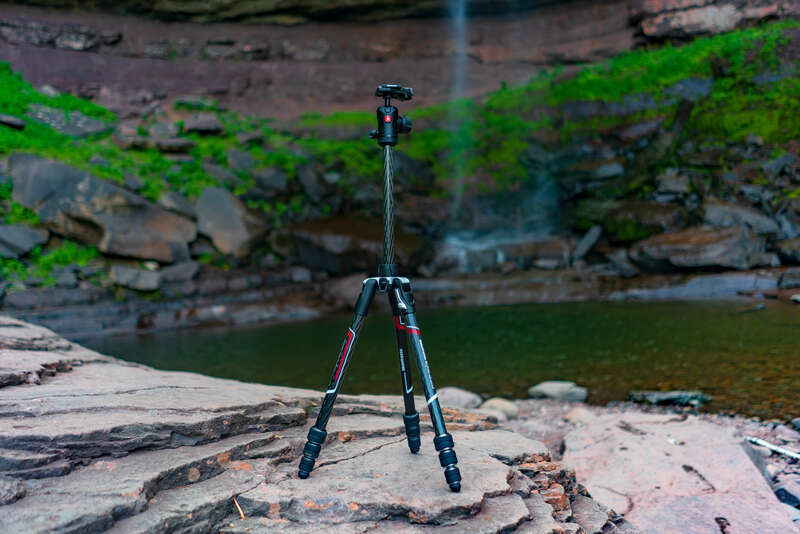 While I treat my gear with care, I really appreciate this tripods stability in almost every situation. On my trip, I felt comfortable leaving my Sony A7Riii on it in water at the base of waterfalls, and even at the edge of lookout points. I create my best work because of the trust and reliability I have in my gear. 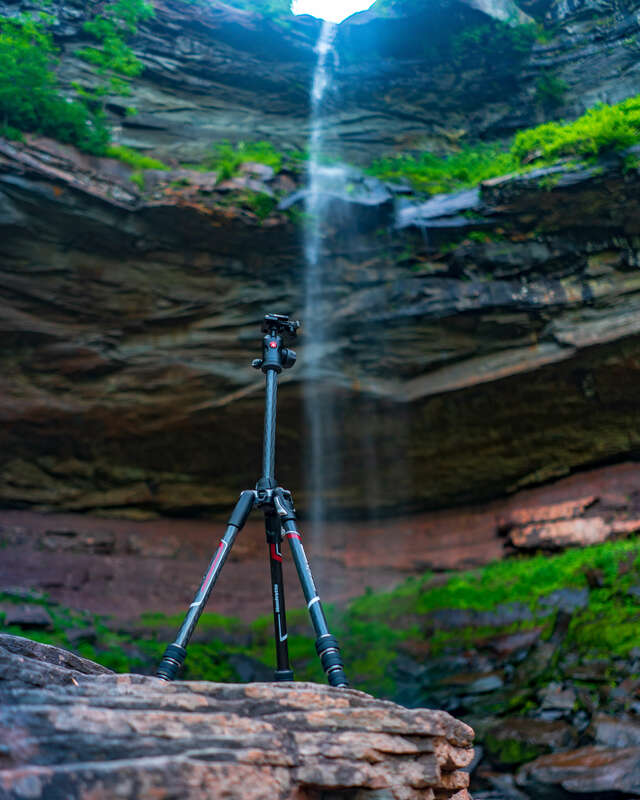 The Manfrotto Befree Advanced Carbon Fiber Tripod allowed me to not only create images I am proud of from my weekend adventure but also allowed me to satisfy my creative goals in each location with time to spare. I create work I love when a day of shooting goes like this because I have time to pause and collect my thoughts on nature. This is what has allowed me to continuously fall in love with the process of creating. The process of telling stories.